We understand that flooring inspectors are something that most people are not even aware exist as a profession until a person needs one. Floors are omnipresent in life, consequently, there are times when we need to deal with matters having to do with what we have underfoot. If there has been a problem of some kind, a broken water line, a fire, or perhaps the floor has failed on its own, there can be considerable damage done to a floor. 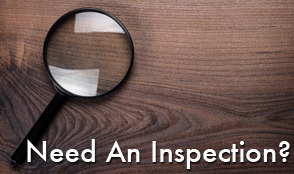 Since this always involves an expense and maybe a claim to someone, you will need a professional flooring inspector. The primary manufacturers of flooring materials each have their own unique characteristics that come into play in any replacement situation. With our extensive experience in the flooring industry we know these unique characteristics, and can issue a knowledgeable report based on the condition, and the particular quirks of the flooring material. So, if you have any of the major name brands, Armstrong, Mannington, Pergo, Shaw, Mohawk, or any other nationally recognized brand, we have dealt with it before. 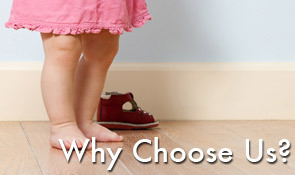 Tech Flooring Services is a Myrtle Beach based flooring inspection company. 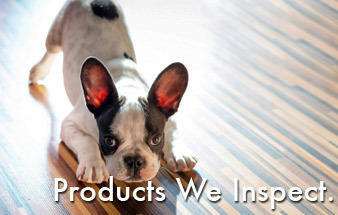 We work with retailers, installers, manufacturer claims analysts, designers, attorneys, builders, and consumers when a flooring failure arises and a third party is needed to help with resolving flooring issues. Whether your flooring issue deals with hardwood, bamboo, cork, laminate, vinyl, LVT, commercial tile, ceramic, stone, underlayment, or specialty floors, Tech Flooring Services of Myrtle Beach can inspect it. We can inspect ripped carpeting, water damaged hardwood, bamboo shrinkage, surface scratches, or any other problem that arises.